My Raspberry Pi media player suite. Browse music/videos, internet radio stations and even YouTube on your Raspberry Pi and play them on your audio system or non-smart HDMI TV. Control everything from your smartphone via the RemotePi web-app. You don’t need an extra remote control, you don’t need SSH, you don’t need to connect physically to the Raspberry Pi, and you definitely don’t need to start the GUI. RemotePi uses the omxd/omxplayer backend. Show what omxd is playing now, including album art or YouTube thumbnail and actual/overall clip time. Limit file browsing within the Raspberry Pi’s file system to a root directory specified in a config file /etc/remotepi.cfg. 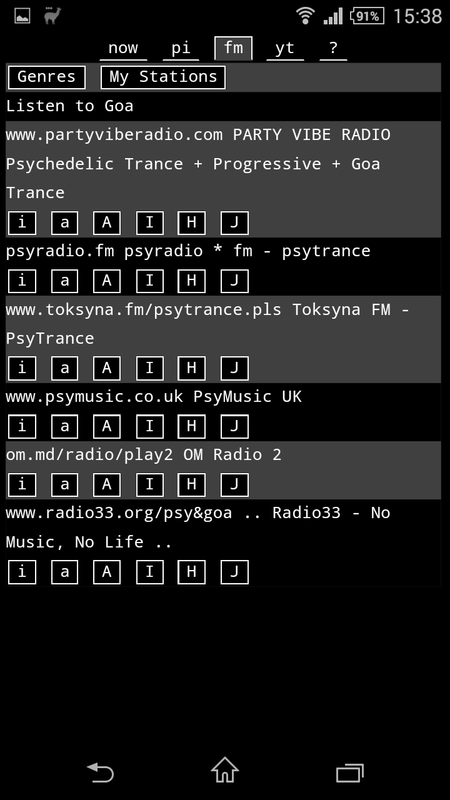 Insert, add and append files, directories or internet radio streams to the omxd playlist. You can even interrupt the playlist to play a single file or a YouTube clip. The playlist resumes after the end of the movie. Control buttons: Play/pause/stop playback, or navigate in the playlist with repeat, previous/next, Rewind/FastForward 30/600s, or previous or next album buttons. Delete actual track or entire playlist. Cycle through subtitles and soundtracks, switch audio output to HDMI of Jack. 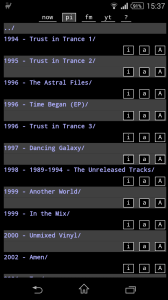 RemotePi is strictly file and directory based and could not care less for MP3 tags in files. It does not use 3rd party databases for metadata, except for internet radio. Best used with a nicely arranged folder structure. Source code and installation instructions on Github. From rg3, RemotePi uses this program to extract direct stream links from YouTube page URLs. You can install it from Raspbian, as well. Who does not love internet radio stations? Who does not like to listen to Liquid Funk or Detroit Techno or Verdi all day long? Now you can do it easily on your Raspberry Pi. 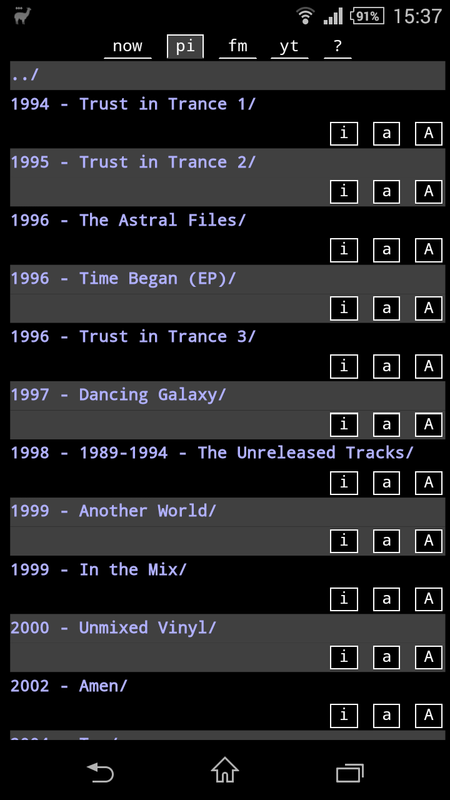 rpi.fm is an interactive command line tool that allows you to browse hundreds of genres and thousands of stations from the database of internet-radio.com. Check out the details on Github. 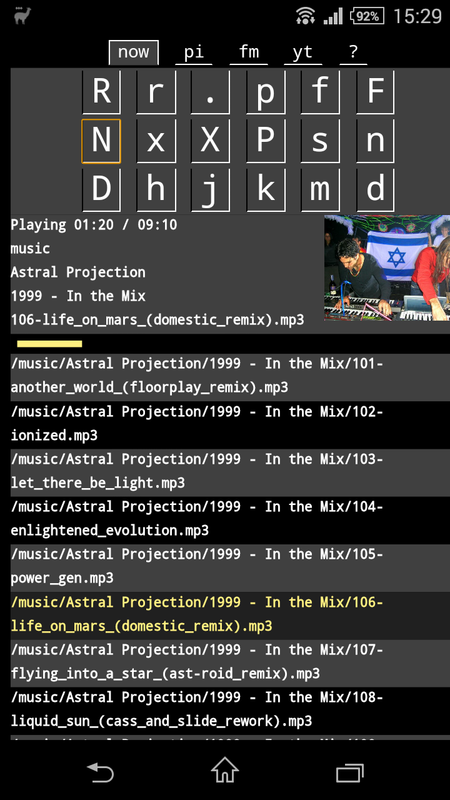 rpi.fm also uses the omxd media player daemon for playback. But what the hell is omxd, you may ask. Well, you probably know the brilliant omxplayer that plays full HD videos using the GPU of the Raspberry Pi. It has a few limitations, though. It can play only one file at a time, unless you are a scary shell-wizard. Would not it be great, if you could add your entire music collection to its playlist in one step? Would not it be great if you could log out of your SSH/GUI session and it would keep cranking out Psytekk? Would not it be great to interrupt your music playlist, watch a movie, and continue your playlist where you left off, after Vincent Vega and Jules leave the restaurant? Exactly. That’s what omxd, the omxplayer daemon does. Maintain, manipulate a playlist, and play it in the background. It’s the heart and soul of RemotePi and rpi.fm.